Let's get down to business with these highly functional, yet stylish, desktop calculators. They feature an attractive aluminum case with a gently sloping body and a hinged display that can be tilted to just the right angle for working. 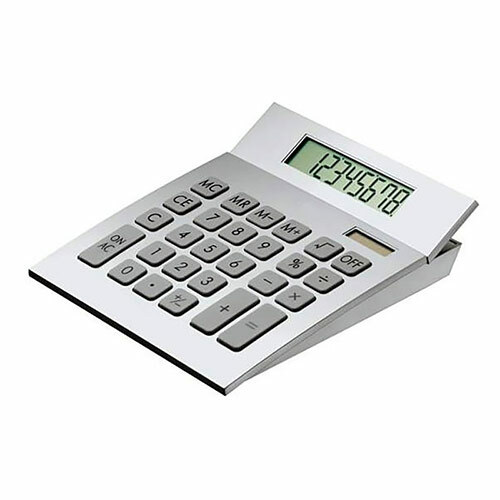 This affordable calculator has an 8 digit display and operates on dual power sources (solar and battery). It can be engraved either above or below the keys, and is offered with free text and logo engraving. We also offer bulk order discounts (see price matrix, above) and low, fixed cost UK delivery.